Never leave ’em empty handed. It’s frustrating to run out of your favorite products. 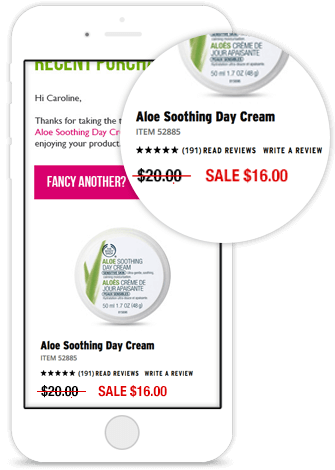 Use our product replenishment feature to ensure your customers never do. It all starts with that first purchase - we track the info and schedule the follow-up. Perfectly timed, an email or SMS arrives with the customer inviting them to reorder before it runs out. 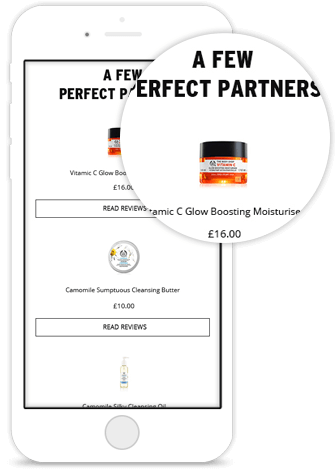 The visitor returns directly to the product page, making it super simple to add to their cart and reorder. Here's the stuff that makes our product replenishment feature awesome. Dynamic Content	Product details are just the beginning. Deliver the follow up right on time by triggering sends based on product shelf-life after purchase. Stop the send if they've already come back. Deliver the most relevant content in your emails based on a wide range of variables. Change header images to be specific to products. Display live pricing when items are on sale. Show stock levels to increase urgency. Use the purchased items to dynamically suggest similar or complementary products to your shoppers. Personalize based on purchase history or show other items browsed. Increase customer lifetime value with replenishment emails. 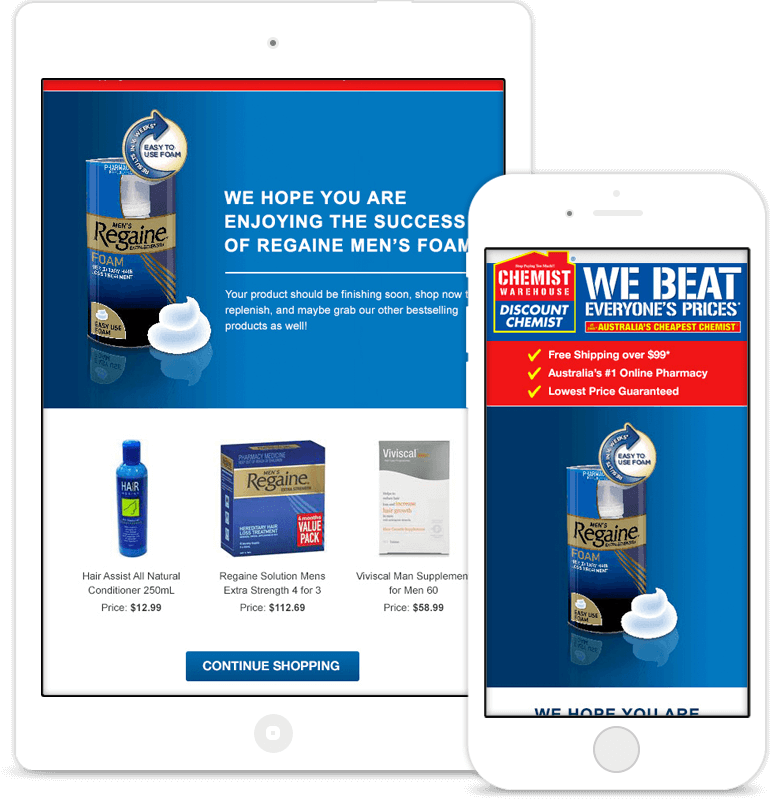 Examples of replenishment emails used by retailers. 01 How soon after a purchase are the emails sent? This is completely up to you, and will change depending on the products. Time them to trigger a week or so before the product should run out or expire, based on the date purchased. 02 Can we include cross-sell recommendations? Of course. We can send the three most popular items that have been purchased with the product about to run out by other shoppers. 03 How many different products can we run this against? As many as you like. We can put rules in place to only send one email if the customer purchased multiple items at once. In customer marketing relevancy is everything. 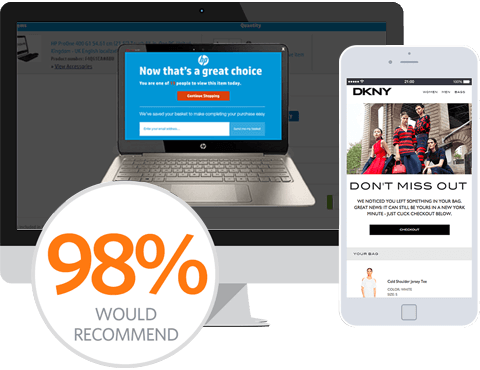 SaleCycle helps us deliver an experience that our customers appreciate just as much as we do.